Board games are family fun that teach sportsmanship and life lessons. My favorite board game has ALWAYS been Monopoly (it’s even my cover photo on Facebook). Torn by what I’ve studied and the books, particularly Being Black and How Capitalism Will Save Us, the democratic capitalist in me has become uneasy with the changes to Monopoly. 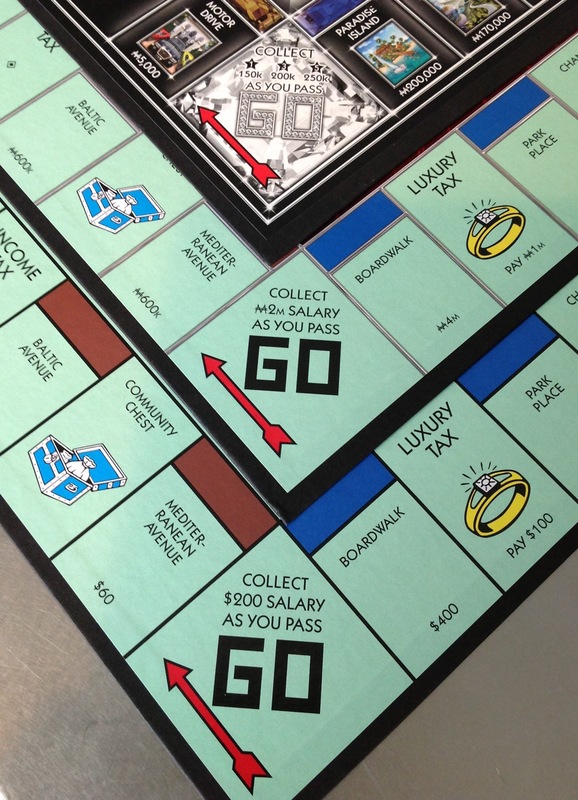 The original Monopoly game taught real estate investing at a slow pace. Although no one I knew wanted to be the banker, you learned how to count money and make investment decisions that would pay huge over time. It appears that the current Monopoly game seems to teach instant gratification. Success is no longer a journey, it’s immediate. It gives the appearance that success is overnight and you can skip steps on the journey, when in reality, success is still a methodical process of planning, hard work and commitment. All names, characters, images, trademarks and logos) are protected by trademark, copyrights and other Intellectual Property rights owned by Hasbro or its subsidiaries, licensors, licensees, suppliers and accounts.